Are you looking for a company that does Building maintenance in Harrow ? SAS Projects is the ideal company for your Building maintenance project in Harrow . We have many years experience in Building maintenance and other services in Harrow . Our highly skilled team can provide a trusted services including project management and delivery. We have been serving companies and delivering projects in and around Harrow for over 10 years and have becuase a trusted and respected partner on many projects. Our Building maintenance team have the experience, knowledge and skill to deliver your project on time and on budget. Self-storage operators have a particular list of maintenance tasks needed to be performed in order to keep the facility running smoothly. This will include cleaning, tightening, lubricating and replacing damaged or worn components as necessary. Building maintenance in this instance should also include the periodic inspection of any access control systems, automatic gates, video cameras and individual door-alarm systems. All of these elements are operational 24 hours a day, 7 days a week, 385 days a year. They have to endure a variety of conditions are can be exposed to external elements. Regular maintenance is essential to ensure your storage facility is safe, secure and cost effective. Keeping your facility clean is also a must. A well-cleaned facility establishes a positive first impression for potential customers. The changing seasons, regular wear from customers and the simple passage of time take a toll on any storage location. Regular cleaning and maintenance undertaken by experienced professionals can keep your storage unit it first class condition. Once your storage units are in use, it can be difficult to gain access to every unit at the same time. Therefore, maintenance must be accomplished as and when it can. Our experienced building maintenance team specialises in the upkeep of storage facilities. They have been delivering building maintenance services to facilities of all shapes and sizes for many years now. Our building maintenance team have the experience, knowledge and skill to deliver your project on time and on budget. Whether it is organising repairs to faulty mechanisms, or liaising with CCTV control to ensure on-going security, or even just undertaking regular cleaning of the communal areas and storage units - our team is on hand to help. 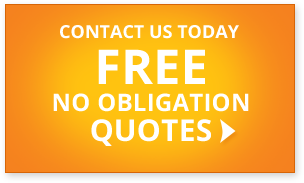 for a fast, free, no-obligation quote or to discuss your building maintenance project.